The usual Power Rankings are on hiatus for the off-season, tucked away for the next few months as the NFL heads into free agency and the draft. But there are still games to be played, so we borrow the premise for a look-ahead to conference championship weekend. There will be previews and predictions and breakdowns to come. First, though, let’s stack up the Broncos, Patriots, Panthers and Cardinals in a few key categories, with a bonus Super Bowl 50 category to close the festivities. 1. 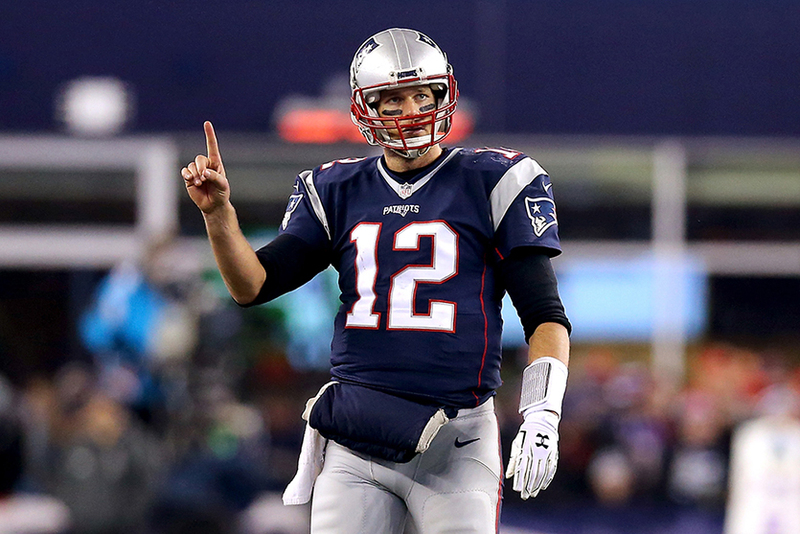 Tom Brady: The NFC title game might feature the two MVP front-runners in Newton and Palmer. Are you really going to bet against Brady in the postseason, though? He now is two wins from his fifth Super Bowl ring and against all medical science has remained a quarterback force of nature despite being 38 years old. 2. Cam Newton: There are running quarterbacks and pocket quarterbacks and dual-threat quarterbacks, but there’s no one quite like Newton. He led all QBs with 636 yards and 10 touchdowns on the ground this season, with the majority of those stats coming on designed runs or options. Newton also threw 35 touchdown passes; his throws resulted in a score 7.1% of the time, the highest clip in the league. There is no real way to prepare for him because he has a singular skill set. 3. Carson Palmer: The 36-year-old gunslinger has been exactly the type of fit in Bruce Arians’s offense that the Cardinals hoped he would be. The duo took it to another level this season, with Palmer coming back from his second major knee injury. Palmer threw for 35 touchdowns, too, while pacing the NFL in both yards per attempt and yards per completion. He has the arm to stretch the field, as Arians demands, and he’s brilliant at manipulating the pocket. 4. Peyton Manning: He’s a five-time MVP, a Super Bowl champion and a future Hall of Famer. He’s also—despite being just a year older than Brady—running on fumes. That doesn’t mean the Broncos cannot or will not win it all, but even the most ardent Manning supporters must admit that he is fighting an uphill battle. 1. Bill Belichick: Rex Ryan, of all people, called Belichick “the greatest coach of all time” earlier this season. The record for most career regular-season wins, currently held by Don Shula (328) probably is beyond Belichick’s grasp—he has 223, so he could catch Shula midway through the 2022 season if the Patriots finish every year between now and then perfect. 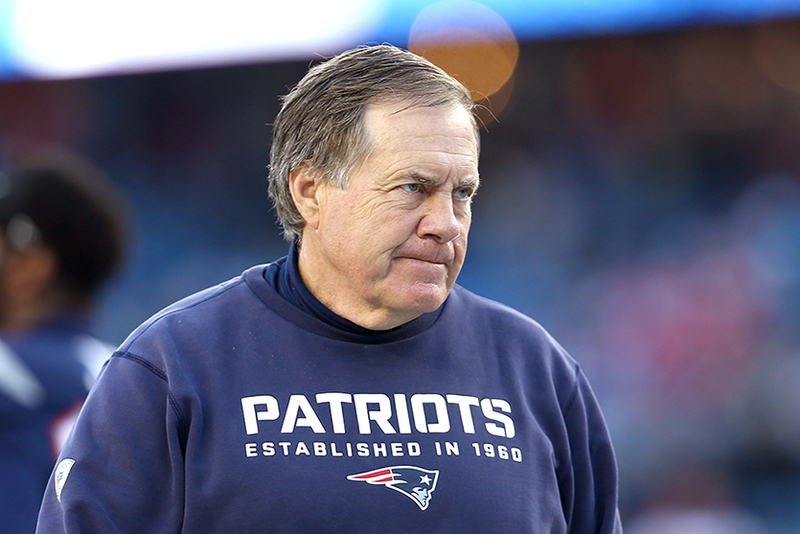 Belichick does own more playoff victories (23) than any other NFL coach, plus four Super Bowl titles. More to the point of this exercise, he remains an absolute mastermind at game planning. The Patriots have a knack for taking away an opponent’s top option on offense (see: Travis Kelce and a hobbled Jeremy Maclin combining for 46 yards receiving in the divisional round). And his offense, well ... it has Brady. 2. Bruce Arians: The NFL head coaching community can be a bit, uh, stuffy. So Arians’s rather in-your-face personality alone makes him a bit of a different breed. So does his preference for staying aggressive for 60 minutes, regardless of time and score—the approach nearly bit him last week when an incompletion saved Green Bay time for its Hail Mary. The Cardinals have not become arguably the league’s most balanced team across the board by accident. GM Steve Keim deserves a boatload of credit, too, but Arians’s imprint is all over this team. 3. Ron Rivera: A video from three years ago still lives on NFL.com titled “Ron Rivera expected to be fired today.” Of course, the Panthers held onto their head coach after a 7–9 finish in 2012, and now he’s likely to be named Coach of the Year next month. Carolina is 34-13-1 over the past three regular seasons, including a 15–1 mark in 2015. There is no denying his work—not to mention that of offensive coordinator Mike Shula and defensive coordinator Sean McDermott—in the development of Cam Newton and the ascent of the Panthers’ defense. 4. Gary Kubiak: This was a tough call, placing Kubiak behind Rivera. The 54-year-old former QB posted double-digit wins in both 2011 and '12 with the Texans, then guided Denver to a 12–4 mark this season despite constant issues at the quarterback spot. The disastrous 2013 year in Houston, which ended with Kubiak’s ouster after a 2–11 start, looks like an unfortunate blip. This is his chance to get over the hump; he has a playoff win in three of his past four seasons as head coach, but he’s never won two straight. 1. Denver Broncos: Put an asterisk next to this one, because the Broncos are not the same defense without Chris Harris on the field. He was limited against Pittsburgh and sounds like he will be again against New England. That’s no small problem—Harris is among the top handful of cornerbacks in football and a huge key to the Broncos’ top-ranked passing defense. With or without him, though, the Broncos still can get after the quarterback and stuff the run. The Von Miller/DeMarcus Ware combo is lethal off the edges. No defense gave up fewer yards during the regular season. 2. Carolina Panthers: More potential injury woes here, with Jared Allen doubtful for the NFC title game because of a fractured foot. The Panthers would miss his veteran presence on the field, but he hasn’t had a sack since Week 8. They also boast a deep front four, even if teams have been able to wear them down at times this season. The three standouts for Carolina are Josh Norman, Luke Kuechly and Kawann Short, each patrolling a different level of the field. For as good as Norman and Short are, Kuechly’s presence at linebacker is almost unmatched anywhere. On numerous occasions this season, including last Sunday against Seattle, he’s tracked a receiver well downfield to break up a pass. 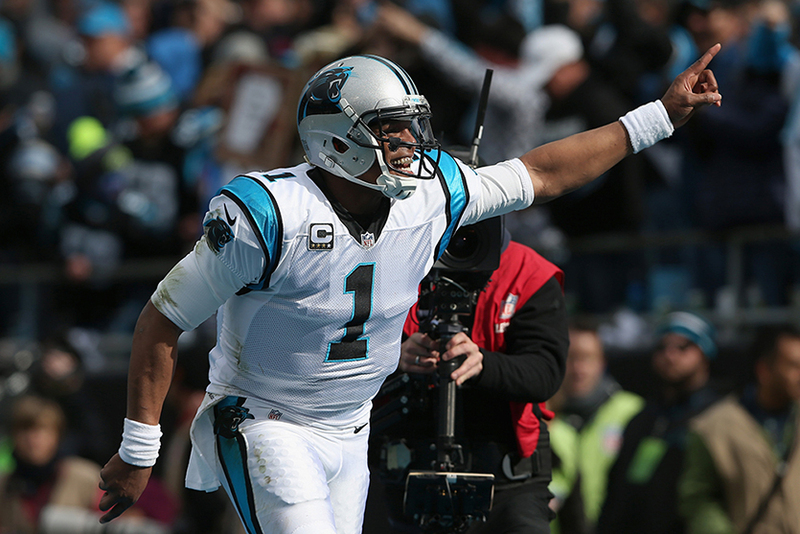 The Panthers forced 39 turnovers, most in the league by a healthy margin. 3. Arizona Cardinals: Next on the forced-turnover list, with a healthy 33, was Arizona. Again, the injury caveat: Tyrann Mathieu’s season-ending ACL tear robbed the NFC West champs of a dynamic piece on the back end. The Cardinals have played three games since losing him: two wins over Green Bay and a humiliating loss to Seattle. So we’ll see. There are plenty of playmakers left sans Mathieu, not the least of which is veteran pass rusher Dwight Freeney, who led Arizona with eight sacks in just 11 regular-season games. He got to Aaron Rodgers for another sack last weekend. Defensive lineman Calais Campbell and cornerback Patrick Peterson both are ticketed for the Pro Bowl (though they won’t play if the Cardinals win Sunday), and linebacker Deone Bucannon has been a revelation under Arians. 4. New England Patriots: Statistically, this was the worst of the four remaining defenses, landing ninth in scoring and 10th in yards. The reality, though, is that the Patriots are extremely talented in their own right and have milked about all they could have out of their available bodies. There are three Pro Bowlers here, as well: Chandler Jones, Malcolm Butler and Jamie Collins. Butler’s ascension on the heels of his Super Bowl-clinching INT has been central to the Patriots’ success this year. LB Dont’a Hightower and S Devin McCourty also are two of the best at their respective positions. The best addition this year has to be ex-Brown Jabaal Sheard, with 8.0 sacks and a team-best 45 QB hurries. What it really is, is ridiculous. The Panthers need to clean up their second-half efforts—the Seahawks were one of several teams to mount a huge rally against them. Otherwise, what else can they do? They had the league’s top scoring offense during the regular season and the likely MVP in Newton, plus a versatile and attacking defense. They may not win the Super Bowl, but it’s well past time to stop questioning them. 2. Arizona Cardinals: Last week’s win over Green Bay got a little dicey, thanks in equal parts to Aaron Rodgers being Aaron Rodgers and Carson Palmer scuffling for three-plus quarters. How Palmer rebounds will be critical moving forward, but all the other elements are in place for Arizona to be a champion. Panthers, Patriots and Broncos fans aside, everyone has to be pulling at least a little bit for Larry Fitzgerald to grab a ring. 3. New England Patriots: OK, yes, the Patriots dodged a bullet late Saturday afternoon when Tom Brady’s pass deflected off Tamba Hali’s hands and over to Julian Edelman for a game-clinching first down. They had also led the Chiefs, winners of 11 straight, by two touchdowns with 1:30 left just moments earlier. Hali had to make that play because the defending champs had the Chiefs in desperation mode. With Edelman and Rob Gronkowski paired up again and the linebacking corps healthy, the Patriots will be an extremely popular pick to go all the way again. 4. Denver Broncos: The Broncos tested the limits of their defense (and kicker Brandon McManus) against the Steelers, playing the bend-but-don’t-break strategy long enough to buy the offense a chance late. Peyton Manning’s group finally came through in the fourth quarter, but can it score enough to keep pace with the Patriots? 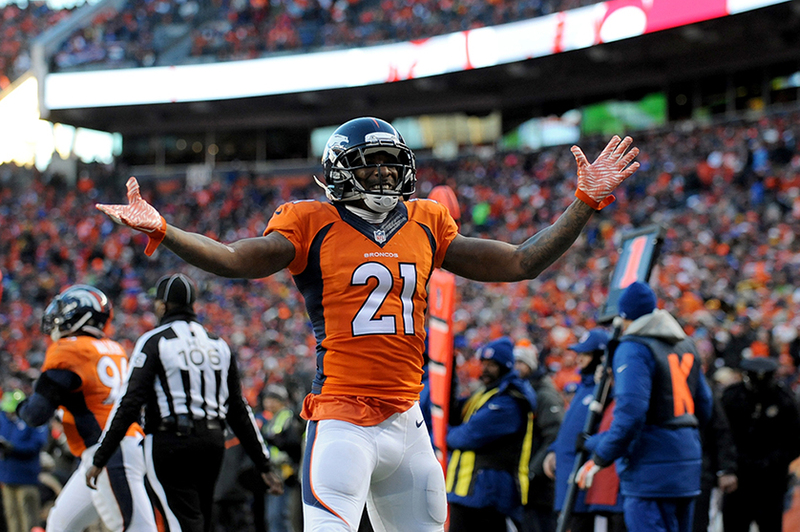 How will Brady attack the Broncos’ secondary if Chris Harris cannot play because of his injury? This is the AFC’s top seed, with home field advantage, but a lot of questions remain. 1. 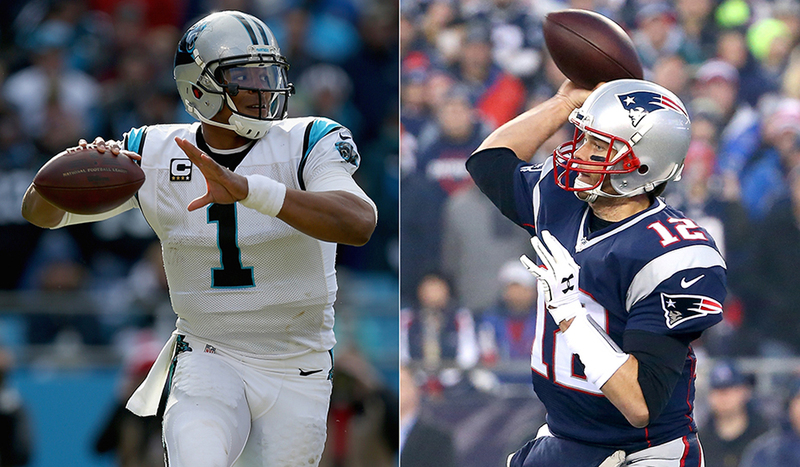 Patriots vs. Panthers: This is a personal-preference category even more so than the first four. But aside from the potential for a little Patriots fatigue, what’s not to like about this potential showdown? The leader of the old guard at QB (Brady) vs. the new hope (Newton). A legendary coach (Belichick) vs. a former Super Bowl-winning player trying to write his own history on the sidelines (Rivera). Substance vs. style. Stoicism vs. swagger. This would be a gem. 2. Patriots vs. Cardinals: Arians probably would love another shot at the Patriots. He was holding down the interim job for the Colts back in 2012, during Chuck Pagano’s cancer fight, when New England handed him a 59–24 defeat. He’d have a better shot this time around. Seeing Arians and defensive coordinator James Bettcher try to confuse Brady would be fascinating. Same on the other side—would the Patriots’ surprising secondary be able to hold up against all that Arizona brings to the table offensively? 3. Broncos vs. Cardinals: The stingiest defense in the league against the offense that produced the most yardage during the regular season. Denver was on the flip side of a similar matchup a couple years back and wound up taking a beating at Seattle’s hands. Could the Broncos reverse the outcome given another shot, leaning on their defense and potentially sending Peyton Manning off into the sunset victorious? There is a lot to be said for the Manning-Palmer matchup, too. Whereas Brady has four titles, including last year’s, and Newton has years ahead of him as a superstar, the sand is rapidly leaving the hourglass for Denver and Arizona’s signal-callers. 4. Broncos vs. Panthers: The playoffs rarely go according to script, but Denver-Carolina probably has the highest probability of being a low-scoring Super Bowl slugfest. The Broncos are limited on offense at the moment, but their defense could give Newton a lot to think about over 60 minutes.